Hello readers! 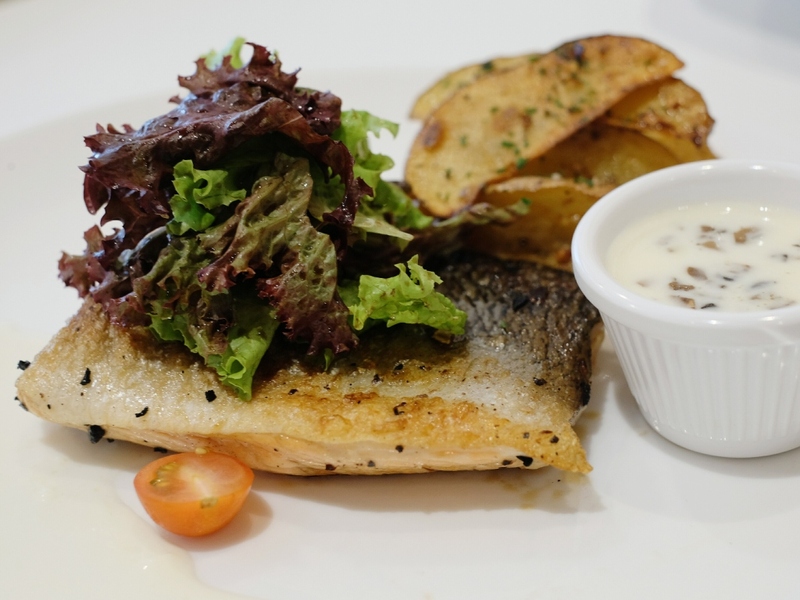 This time I want to share my experience at new opened restaurant in South Jakarta! 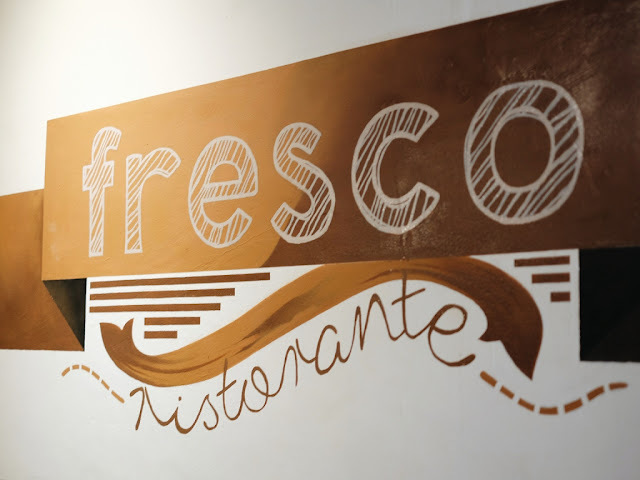 Called Fresco Ristorante Steak & Pasta ! 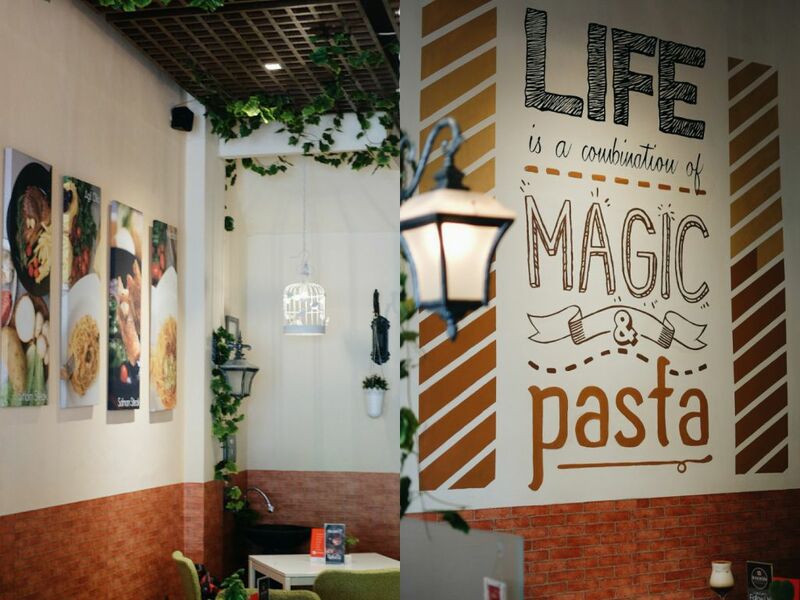 From their name we can assumed that they serve Italian cuisine, I hope one of the best in Jakarta, because later I rarely found good Italian restaurant with their authentic taste, so want to now more? keep reading this post! They located at Jl. Sultan Iskandar Muda no.8J, Arteri Pondok Indah near Gandaria City Mall, but if you're planning to go there from Gandaria City to PIM route, do not take the underpass, just take the other way and not far from Gandria City this restaurant will be on your left-side after Mandiri Bank, doesn't it sounds clear? if no just ask your google maps. The dining area is comfy and give us space like we're at home, not too big but really cozy. 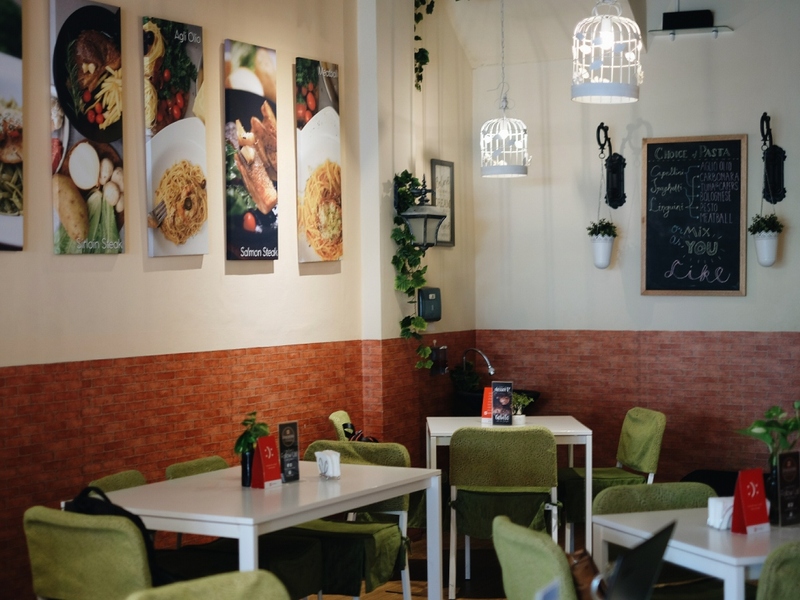 The interior itself looks modern, it also clean and overall the services were good too, nothing to worry for the dining area and service and so for the food they serve starter, pasta, steak and even rice, one thing that I quite confuse is why no pizza? For the drink section they have tea, coffee, Italian soda, ice blended and mix juice. 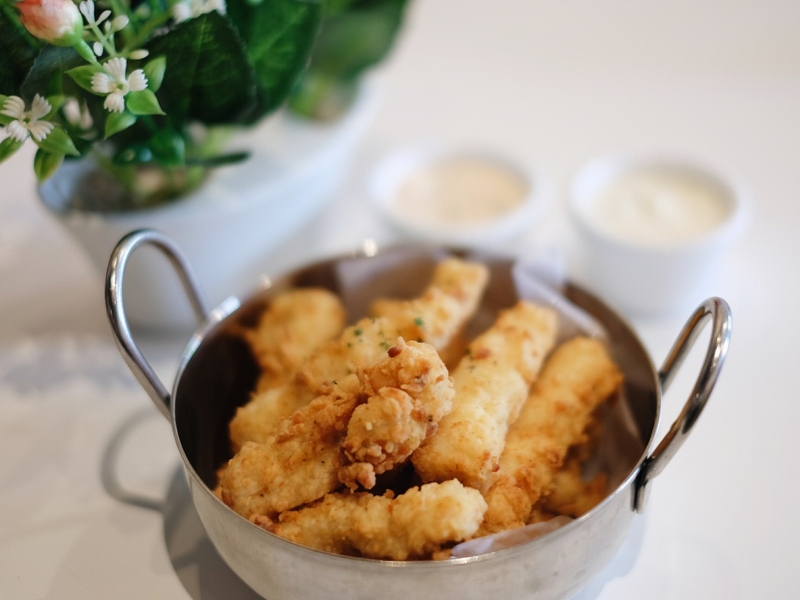 To start we have this fish finger! Easy one! 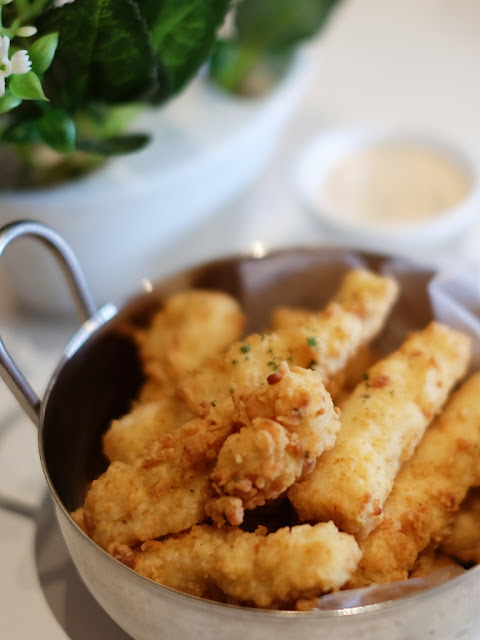 Crispy outside and juicy inside, it's simple but well execute, so it come very delicious, the battered was in good amount, so not too thick or we can't taste the fish inside, so it's thinly crispy outside and the fish is very moist, served with two kind of dipping sauce, mayo and thousand island! All good! The classic menu but surely one of my favorite all time! not just here but another Italian restaurant, we can say aglio olio is the standard, if they can't make a great Aglio Olio don't expect more for the menu, because they can't even served a simple one! 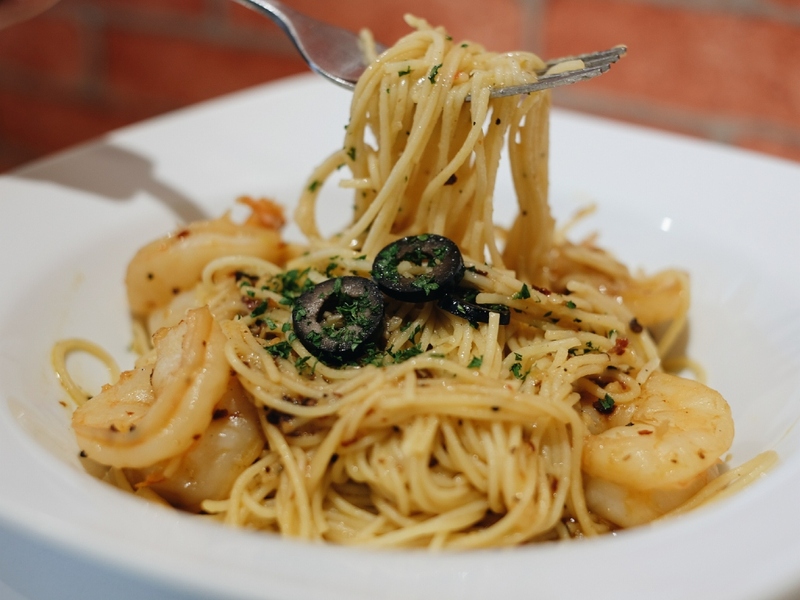 So Aglio Olio is simply pasta sauteed with olive oil, garlic, chili flakes! Whether it can served with any pasta, I think they more fit into spaghetti or linguini,doesn't it feel strange when you have aglio olio with penne? 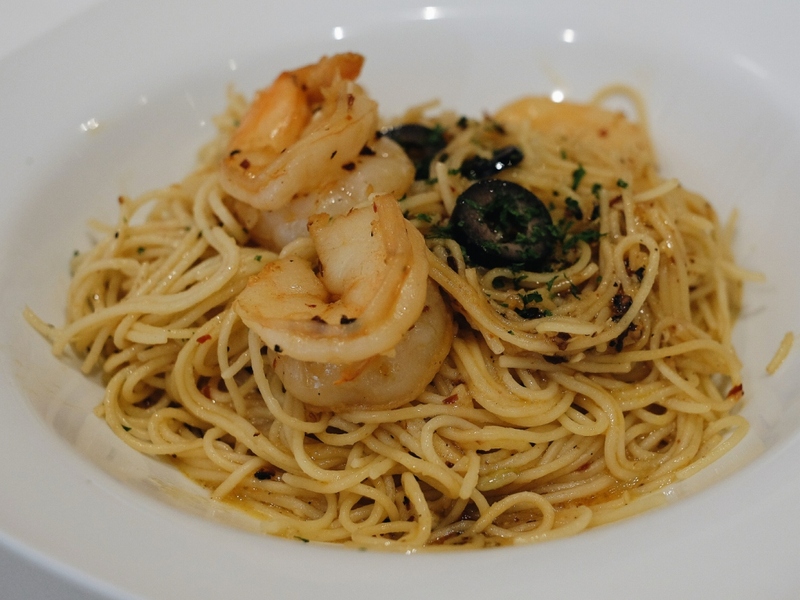 Their Aglio Olio smells good and taste good, they choose prawn as the protein in this pasta, I always love aglio olio with prawn! 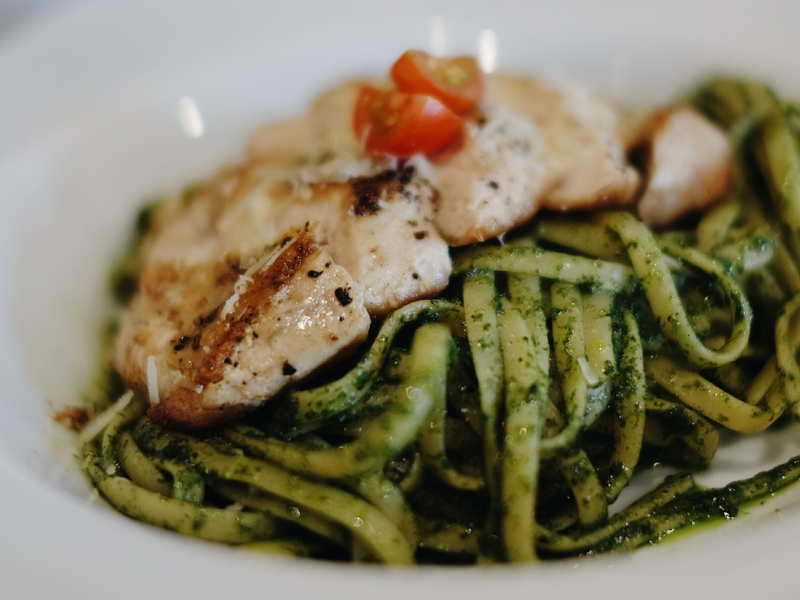 Later on, I love pasta with pesto and luckily I found it here! 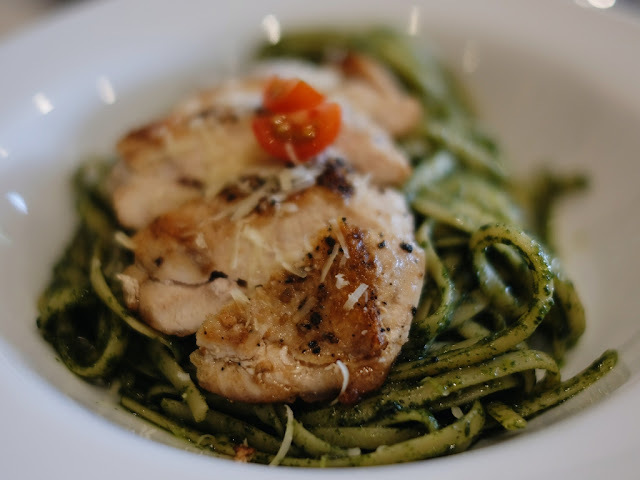 Pasta in classic pesto sauce, topped with sliced garlic chicken, they cook the pasta really well in al dente, so I can enjoy it much, the pasto also cooked beautifully and served with sliced garlic chicken, looks dry but actually it's so juicy and great! If you love garlic and herbs it will be perfect for you guys. Another classic Italian pasta! Spaghetti in marinara sauce, topped with homemade meatball, Italian meatball is really good but not many restaurant serving this, the meatball was super juicy! 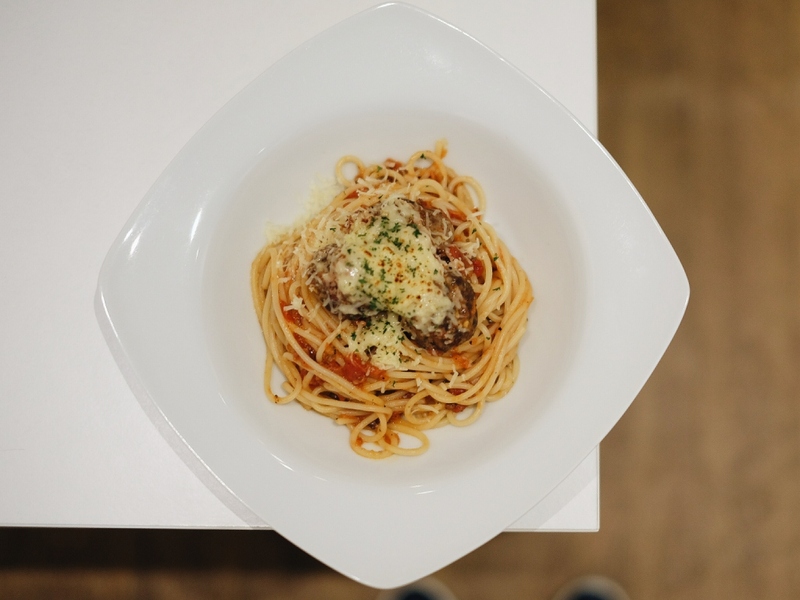 Topped with mozzarella cheese for extra yumminess! All the taste mix together very well, I love this one! More cheese more satisfaction, because I love cheese so much! Last but not least, I had Carbonara! 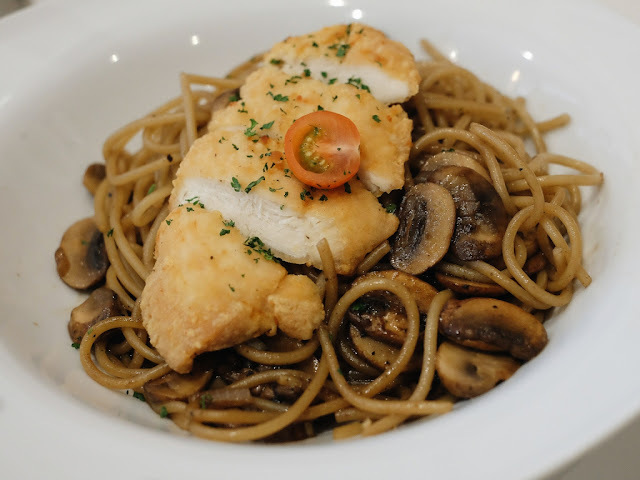 One of common pasta that we easily found wherever even not all of them great, but here I bet you won't be sorry, because they have thick and creamy sauce! 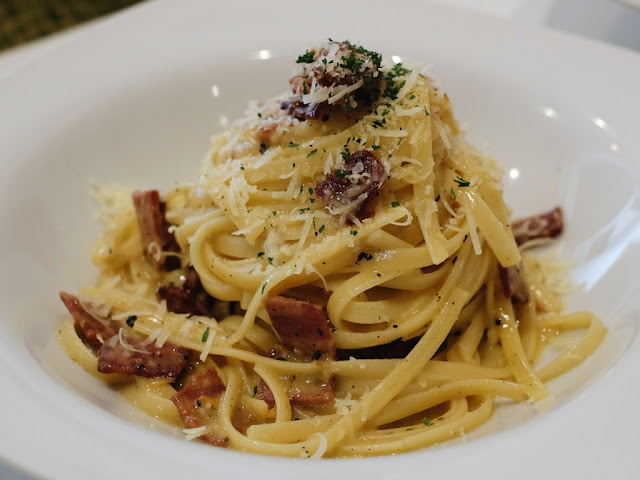 I always love creamy pasta that served with smoked beef. 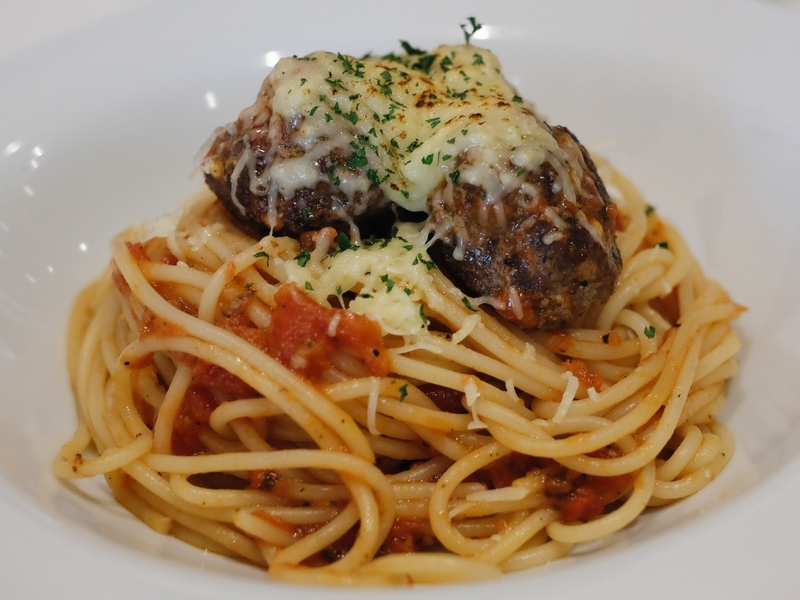 The cream was enhanced the flavors of smoked beef, it combine really well, must order one! 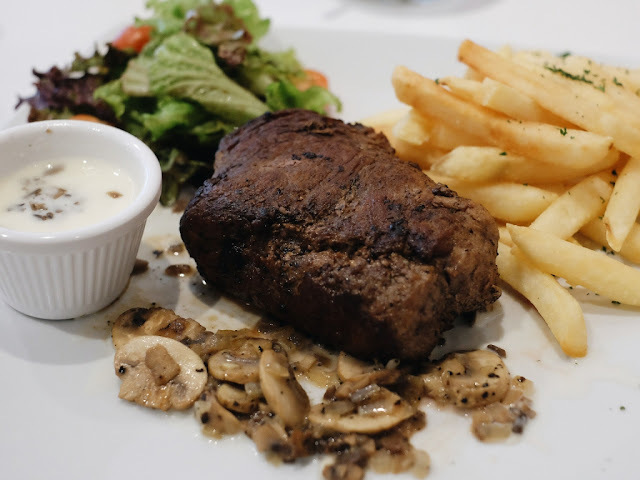 Italian cuisine not just well known for their pizza and pasta but also steak! 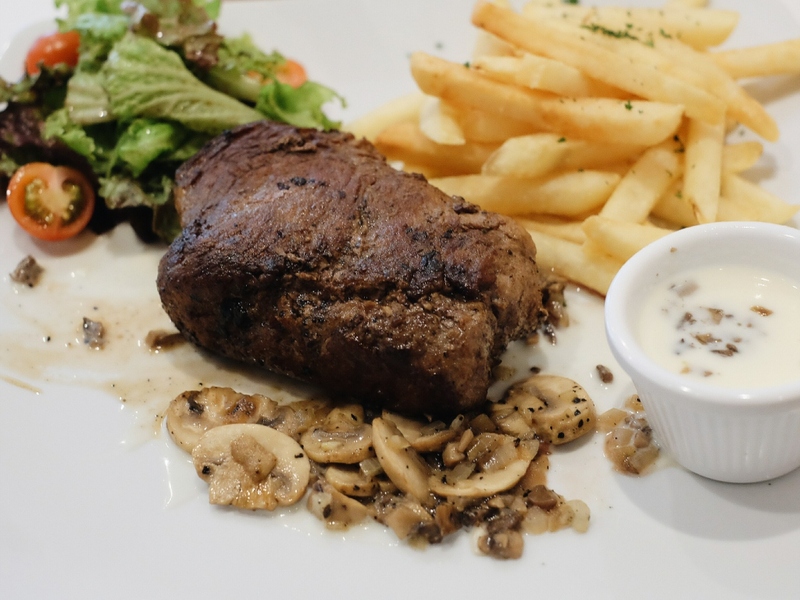 They served steak in different way of American style that usually using a lot of herbs and sauce, Italian steak always focusing on their quality of meat, they rarely over-seasoning the meat, only using salt and pepper and I love that. 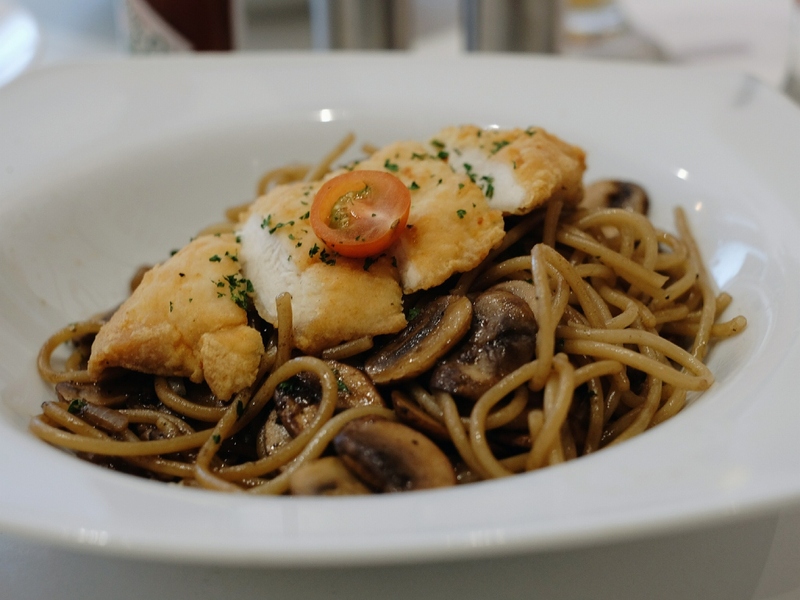 They cooked in medium and served with 3 choice of sauce : mushroom, blackpepper or bbq! 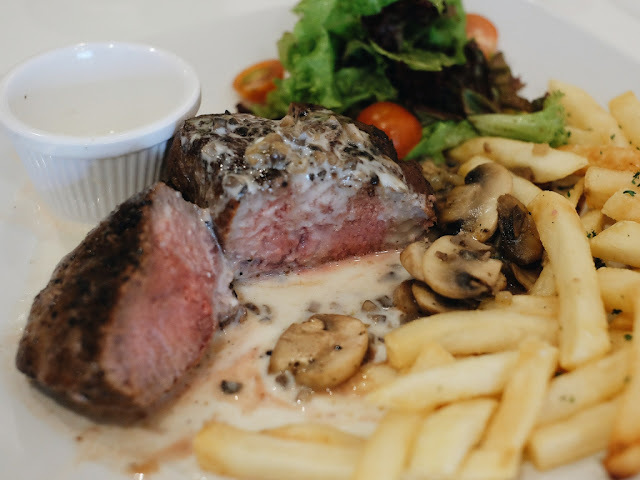 You just can't say no creamy sauce for juicy steak and sauteed mushroom! Love it! 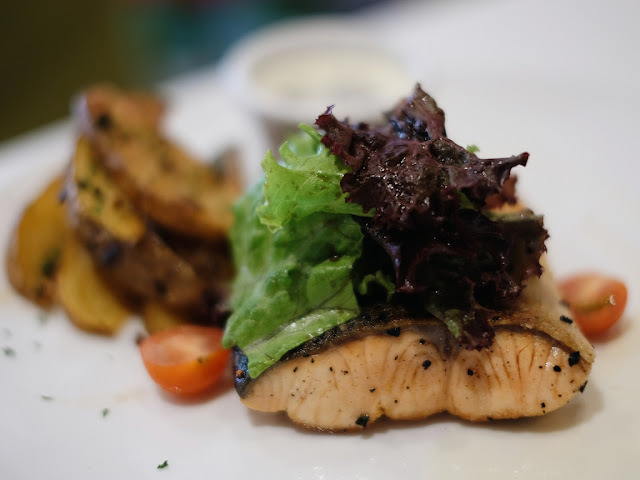 Beside beef steak, seafood already become the star of Italian cuisine, usually some part of the country that located along the sea, they have one of the best seafood all over the world, Italian cuisine quite often using salmon for the protein, and here they serve 180g pan seared salmon garnished with fresh lettuce and choice of french fries, mashed potato or potato wedges. 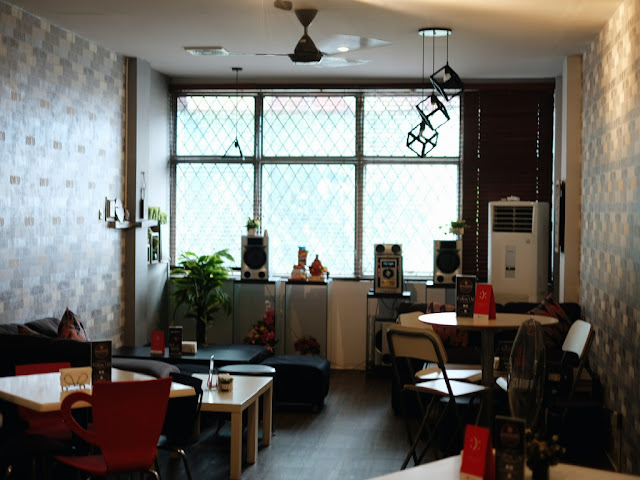 Why not choosing the healthy drink here? They have detoxifier here! a mix of bokchoy, pineapple, lemon juice and mint leaves, high in fiber to aid your digestive system, so it helps us to digest those fat from the cream and carbs, even they're using vegetables here, it's not ruining the taste but give us freshness, especially from the lemon juice and pineapple. Good! Italian coffee is essentials! 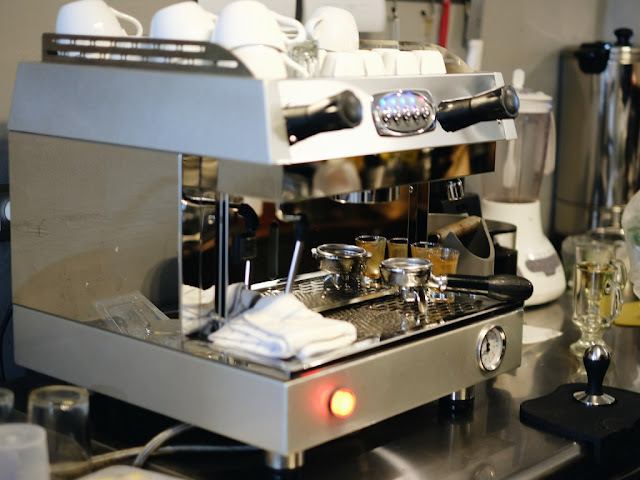 Espresso, latte. cappucinno? 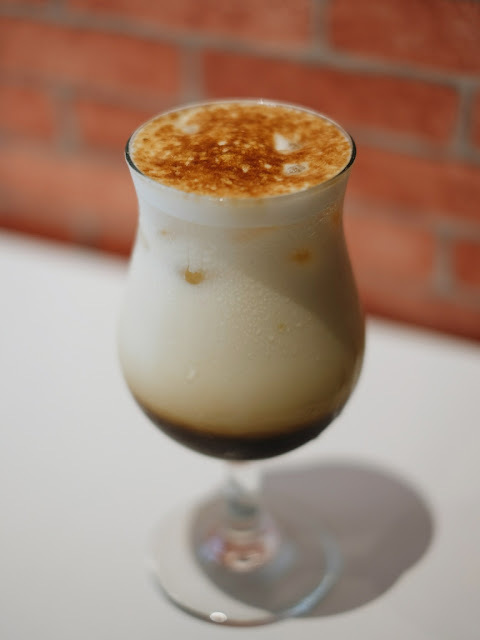 But here they have signature coffee of Frescoristo a latte with splash of butterscotch. smokey and buttery! The first time trying coffee with butterscotch, coffee has strong and unique taste also smell and so butterscotch, first think they'll be a mess, but it turns really good! Well, that's all! Finally, I think now we have a proper place for having Italian cuisine, with great atmosphere, delicious food and of couse very reasonable price! 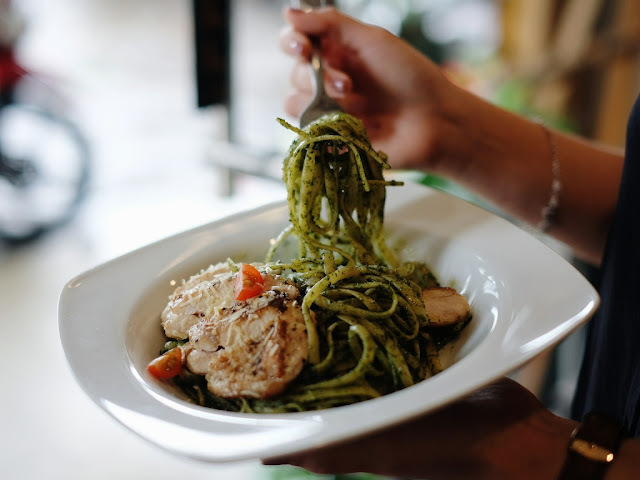 So when think about Italian cuisine, put Fresco Ristorante Steak & Pasta on your list! Another great news for you because we have GIVEAWAY 20 E-VOUCHERS for our lovely readers! Just comment in this post and tell us which menu do you like to try most? 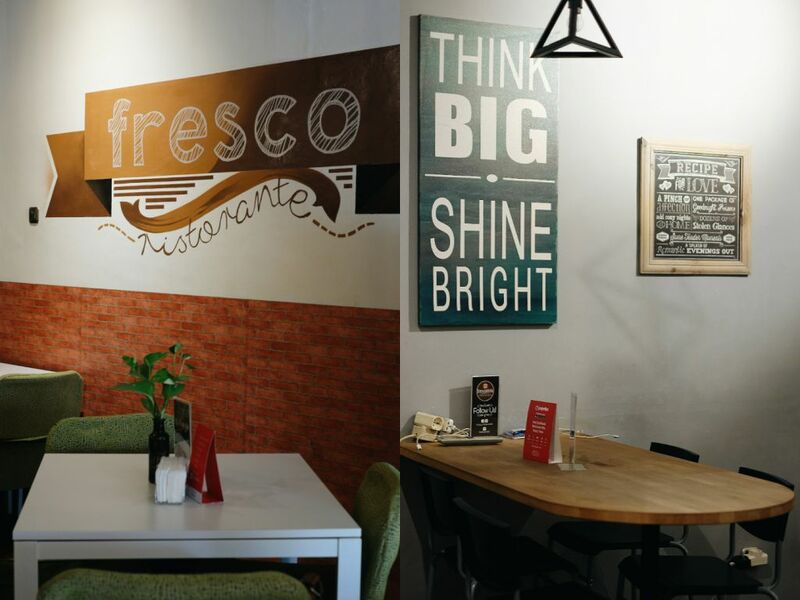 Don't forget to put your Name, Age and E-Mail, also at the end of the comment put #FrescoRistorante also every customer get 20% discounts for dine in, what to wait? Your post make me hungry. 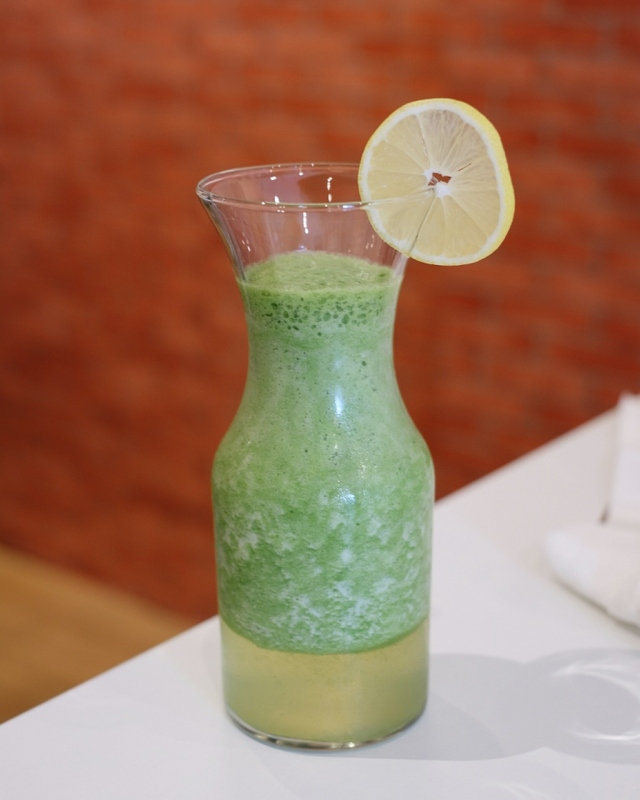 detoxifier sounds good haha will try it soon when I arrived in JKT in the beginning of next year!